As Google’s algorithms continuously change, it is up to hoteliers to make use of the most optimal marketing techniques. Although there are certain black hat techniques which could benefit your hotel in the short term, they will only cause harm in the long term. However, the use of white hat techniques has shown to make it more difficult for your hotel to be ranked at a higher position in search engines. One way to combat this is through the use of influencer marketing. What is influencer marketing? Influencer marketing is a marketing technique in which businesses work with people who are active on different social media channels, such as Snapchat, Twitter, Instagram, and so on. Working with influencers who fit your brand image and appeal to your target demographics proves beneficial to awareness of your hotel. Who should I work with? When doing your research as to which influencers you want to work with, remember to keep in mind who your audience is. Does the influencer(s) reach the demographic that you are targeting? Another important factor is engagement. The initial thought would be that influencers with the largest reach are the ones you want to work with. However, this is not necessarily the case. Influencers with a large following but low engagement will not bring much value to your hotel. Look for influencers with a sizeable following that fit the industry and demographic you are targeting, who is shown to have consistent engagement with their audience. The greater the engagement with your target audience, the more traffic that will reach your hotel, and result in better search rankings. How do I get influencers to work with me? There are a number of ways in which you can approach how you will compensate the influencers. The most obvious is of course financially, though that poses the question as to whether or not your influencer of choice is truly passionate about your brand. This may come off as insincere. An alternative is that you come to an agreement to share post(s) written/created by the influencer about your hotel on your website. While the influencers post will bring traffic to your site, you will be doing the same for them by sharing said posts, creating a mutually beneficial relationship. As your traffic increases and so does theirs, the healthier the relationship between influencer and hotel. Not all influencers will be satisfied with a “shout-out” however. You can offer the influencer a discounted rate when they decide to stay in your hotel, which would be offset by the increased number of customers. What about content? You may be wondering what kind of content your influencers could produce. This could range from anything, including a written post on a blog, a post on Instagram, or even a video on YouTube. This will help to alleviate some of the difficulties that your brand may face in producing content. A number of successful influencer campaigns have been when they encourage their followers to share thoughts or pictures to be associated with a brand. For example, if an influencer were to create a post asking the audience to share a positive experience they have had with your hotel, this will not only create engagement, but will also help your hotel’s brand image. However, you must provide your partner(s) with the tools to drive your sales message, but also allow them the creative freedom in producing the content that not only matches your brand, but theirs as well. What are other benefits? When influencers create links to your hotel, this does a number of things. The more authority that they have, the higher the quality of the backlink to your hotel site. A greater volume of low-authority backlinks is incomparable to having a few high-authority ones. Think “quality over quantity.” Also consider that the influencer sharing your link could also increase the possibility of others sharing the link, which could lead to a high-authority site adding the link to their site, which would drive traffic upwards. The overall traffic that of your site should, in theory, face a noticeable increase. 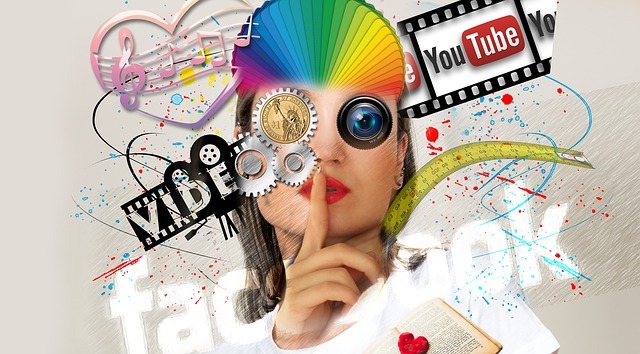 Influencer marketing is a powerful marketing technique, and will continue to grow in a world in which social media continues to reign supreme. On Instagram alone, influencer marketing is already a $1 billion industry, and is expected to double in the next year. Considering all of the different social media channels that influencers have at their disposal, it would be a positive strategic move for your hotel to reach out to them. That way, they can then reach out to your mutual audience in a way that you are not yet able to.